Bantu migration influenced the development of the African civilization because they spread agriculture to hunter gatherer societies south of the equator as they migrated. They brought iron tools and weapons to the peoples who were still utilizing Stone Age technology. Many of the people adopted the Bantu language. The Bantu migration was critical to Africa because it helped spread new technologies and innovations to the existing civilizations. The migration also helped unify many of the peoples under a common language. 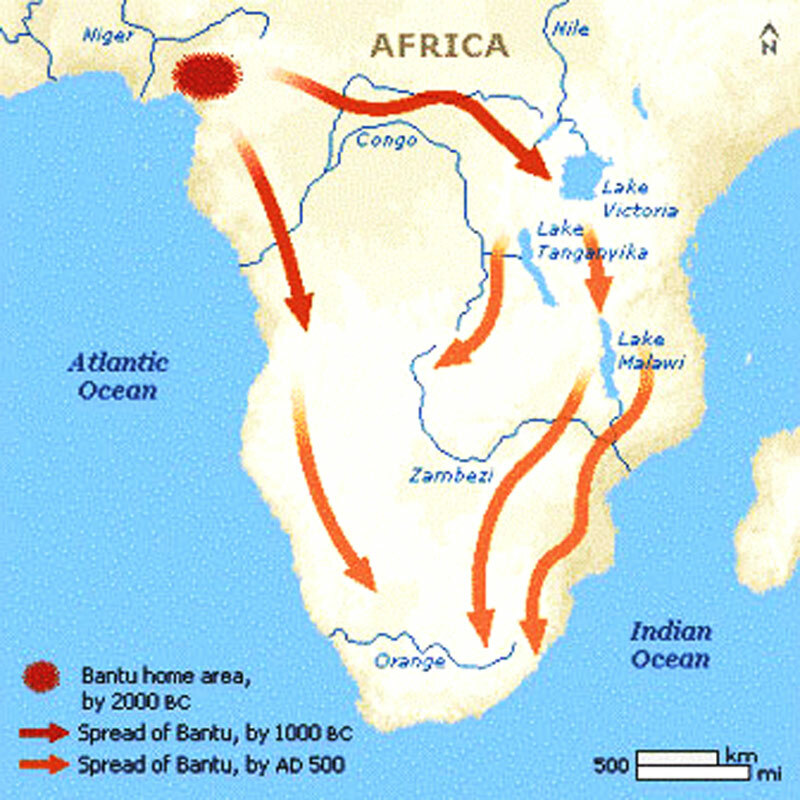 The Bantu migrations affected trade in Africa because they were the founders of trade on the East Coast of Africa. Before the Bantu Migration, trade was centralized on the West Coast of Africa. When trade began on the East Coast, activity and settlement increased as well, causing Africa to flourish on both of its sides.